I’m showing you something different for my drawing of the week – not a finished illustration but some ideas I’m playing with at the moment. I’m in experimental mode this week, playing with different pens and drawing techniques. I often experiment with illustration but rarely share my playful doodles. 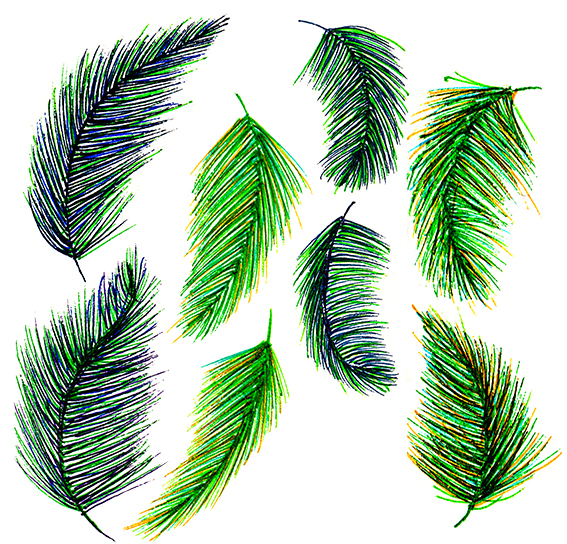 However as I’m pushing out of my comfort zone I’m happy to show off my working process, and these feathers, with you. The ‘playing process’ is so much fun. I get super absorbed with making marks and seeing how shapes and colours interact with each other. It’s a great way of thinking out patterns and new projects. 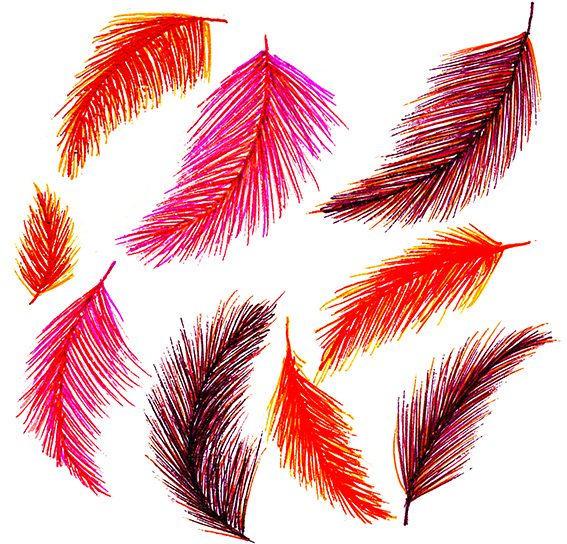 I’m currently obsessed with feathers – they are a recurring theme for me and an effective way to free up my line and play with colour and shape.